Don't wait weeks for your order from some "Overseas" company, then have to wait longer while your package has to go through customs inspection. Trust your order with us in southern California for fast shipping every day! We average 1-4 day delivery time to ANYWHERE in the USA, and ALL orders include delivery confirmation.. Our cases are the highest quality, our plastics are so pure we are the only company in the world that can product absolutely crystal clear cases that look like glass, unlike others made of cheap cloudy plastics. Easily replace your original black PS2 Slim case in 2 MINUTES!! Completely customize your case and easily play backups and imports with the use of Swap Magic Discs. Available in crystal-clear, clear-blue, clear-pink, clear-green, clear-orange, and clear-purple. This is a great accessories for those who want to make their PS2 unique and different from the rest. 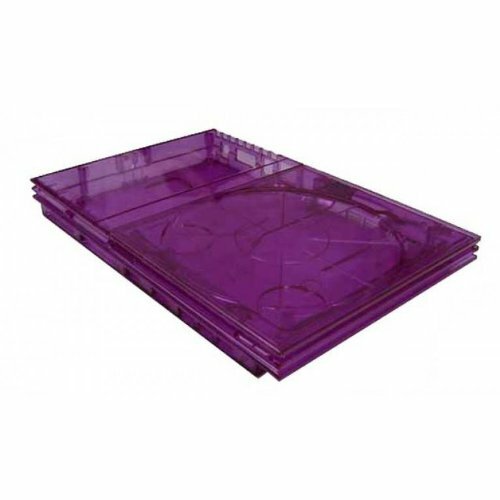 Comes with all the necessary parts, including the top and bottom covers, power switch cover, tray cover and expansion bay cover. This kit includes built-in ghost clip so you can play backup and import right out of the box (in conjunction with the Swap Magic Disc), no extra install needed. Only 7 Screws for an easy install. Don't wait weeks for your order from some "Overseas" company, then have to wait longer while your pakage has to go through customs inpection. Trust your order with us in southern California for fast shipping every day! We average 1-4 day delivery time to ANYWHERE in the USA, and ALL orders include delivery confirmation.. Our cases are the highest quality, our plastics are so pure we are the only company in the world that can product absolutely crystal clear cases that look like glass, unlike others made of cheap cloudy plastics. Easily replace your original black PS2 Slim case in 2 MINUTES!! Completely customize your case and easily play backups and imports with the use of Swap Magic Discs. Available in crystal-clear, clear-blue, clear-pink, clear-green, clear-orange, and clear-purple. This is a great accessorie for those who want to make their PS2 unique and different from the rest. 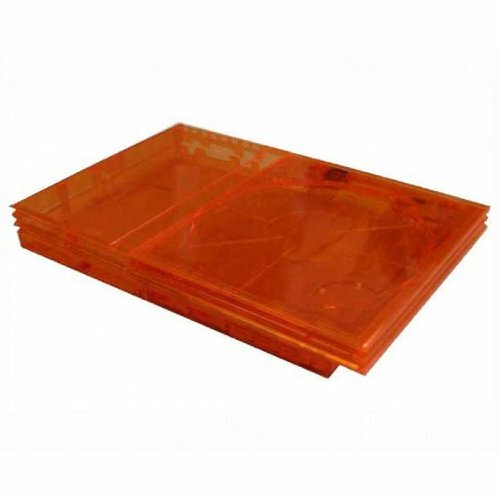 Comes with all the necessary parts, including the top and bottom covers, power switch cover, tray cover and expansion bay cover. This kit includes built-in ghost clip so you can play backup and import right out of the box (in conjunction with the Swap Magic Disc), no extra install needed. Only 7 Screws for an easy install. 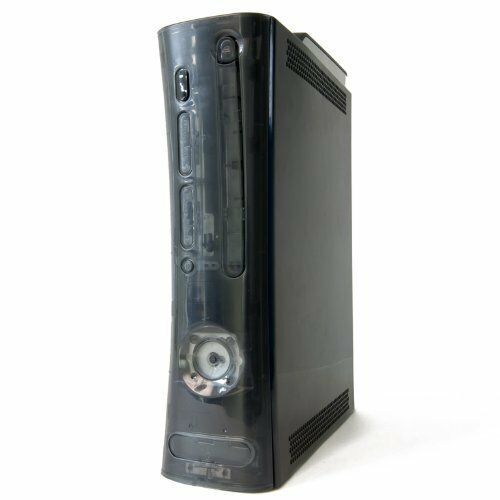 The smoke Ghost Case is the most complete Xbox 360 case on the market, with high quality plastic that giving it the appearance of glass. 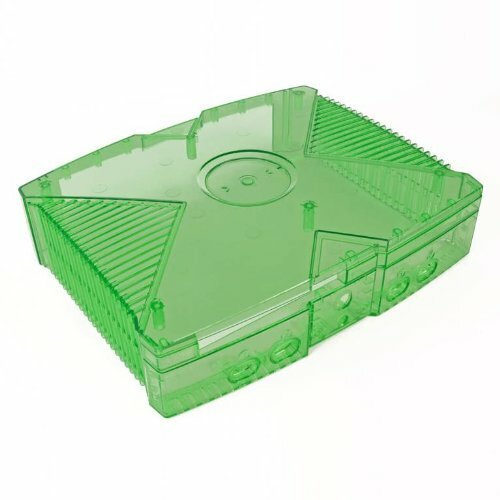 This is the only case in the world that comes with a clear DVD drive lid, which actually lets you the DVD spinning while you play! 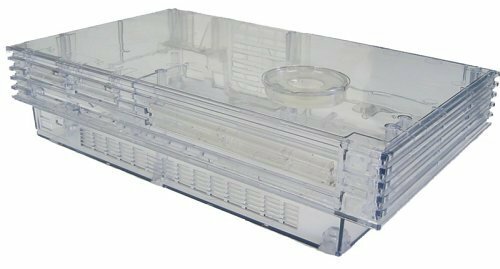 Inside this amazing kit is also a clear fan tunnel, without this vital piece you wouldn't even be able to see your circuit board! This piece opens up the whole inside of your console so you can see everything going on inside (this also allows for your custom lighting kit to light up everything in the case)! Note: The silver side grilles (mesh type pieces) are not replaced. This is so the hard drive will match the color of these pieces, and because behind these pieces are a big ugly metal parts that are better when not visible! This new case is designed to be compatible with the new HDMI generation of consoles as well as the original case style. The custom light kit has backwards-compatible plugs to fit both the new and old style consoles. Comes with 2 DVD tray parts one for the Samsung / Hitachi and one for the benQ DVD drive. 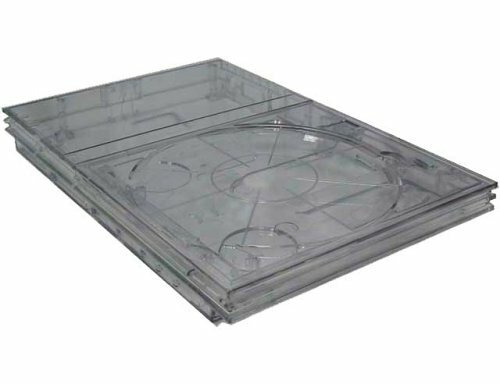 The highest quality completely crystal clear cases for your PS2 Slim console! Install in 2 minutes by removing only 6 screws. 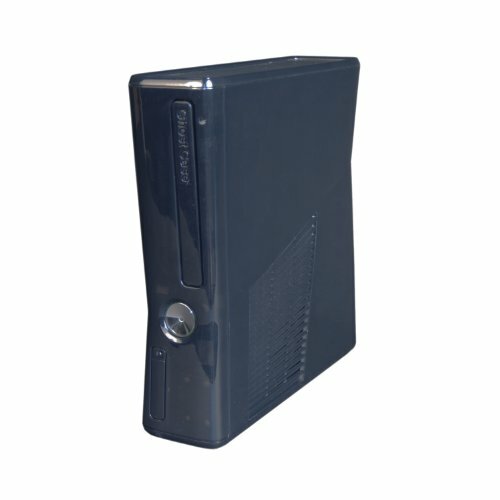 XBOX SLIM GHOST CASE PROJECT! Want more Clear Ghost Case similar ideas? Try to explore these searches: Canaletto Grand Canal, Snowflake Cake Decorations, and Farberware Aluminum Fry Pan.